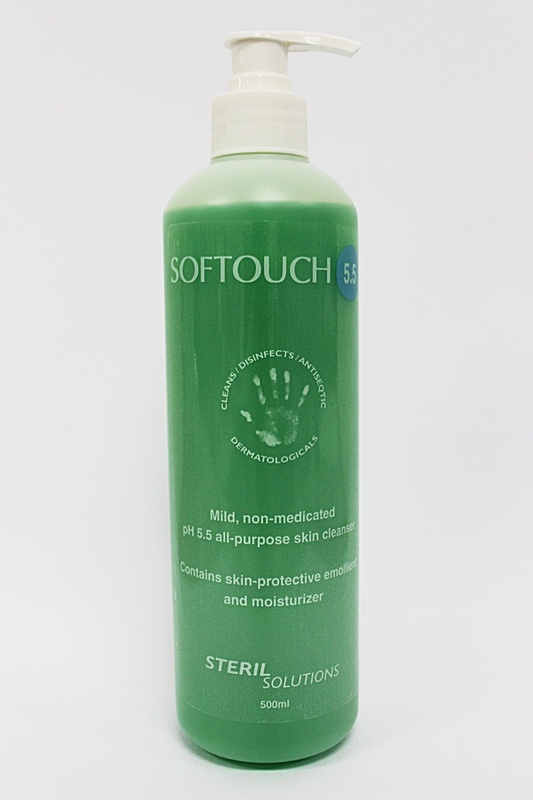 SOFTOUCH is a disinfectant-free hand wash. It has a green pearlized colour with the fragrance of fresh apple. The product contains natural moisturizers and is balanced at pH 5.0 – 5.5. It gently cleans and keeps the skin soft and smooth. It’s skin-friendly formulation and pleasant essence promotes frequent hand washing and indirectly controls nosocomial infection. Recommended for use as a personnel hand wash in the clinics, dental offices, laboratories, homes and childcare centres and areas in constant contact with the public. SOFTOUCH is characterized by it’s high viscosity with translates economically into lesser use of the hand soap during actual hand washing. SKU: HUN 00 00 01. Category: STERIL Solutions.